Arthroscopic surgery provides visual information about the inside of a joint without requiring a large incision. 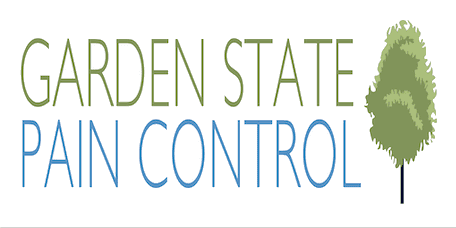 The skilled orthopedic surgeons at Garden State Pain Control perform arthroscopic procedures at their locations in Edison, Clifton, Hazlet, and Jersey City, New Jersey. To learn more about arthroscopic surgery, call or book an appointment online today. This procedure uses a thin, flexible instrument called an arthroscope. The end of the arthroscope has a light and camera lens on it, which projects images of the inside of your joint onto a screen. Arthroscopy allows your surgeon to visually examine the structures of your joint without damaging healthy tissues with a large incision. They can accurately diagnose your condition and repair damage through tiny incisions the size of a buttonhole. Why would I need arthroscopic surgery? In addition to performing a thorough physical exam and reviewing your medical history, your physician at Garden State Pain Control may use arthroscopy to diagnose a problem inside one of your joints. In some cases, the team at Garden State Pain Control may combine arthroscopy with traditional, open surgery. Depending on your specific condition, the team at Garden State Pain Control may perform arthroscopic surgery as an outpatient procedure, which means you can avoid a hospital visit. Before your procedure, your physician discusses your options for anesthesia. Arthroscopic surgery is less painful and easier to recover from than open surgery, but you will still need a local, spinal, or general anesthetic. During the procedure, your surgeon makes one or more small incisions, or ports, around the affected joint. If necessary, they insert miniature surgical instruments into these ports to repair damaged tissue. Then, they cover the incisions with a bandage. To find out if you’re a good candidate for arthroscopic surgery, call Garden State Pain Control or book an appointment online today.